As a child I was always fascinated with the older Chevrolets, especially the 1947 and 1948 Chevrolet's. My father had a 1950 Chevrolet that he gave me back in high school (1980). The car needed total restoration, so I restored it to the best of my young ability. 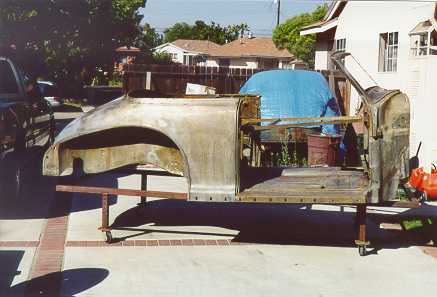 I was 16 years old and working part time spending all my money restoring this car. 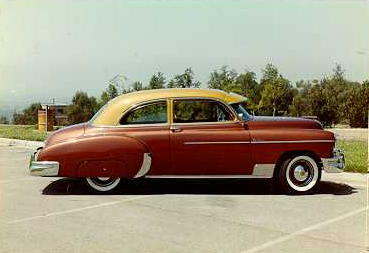 Finally when I was 20 the 1950 was done, this was my baby for a while. I really wasn't satisfied with the car because, one, it was given to me, this wasn't the car I desired. Two, I was young and wish I would have done a better restoration job. 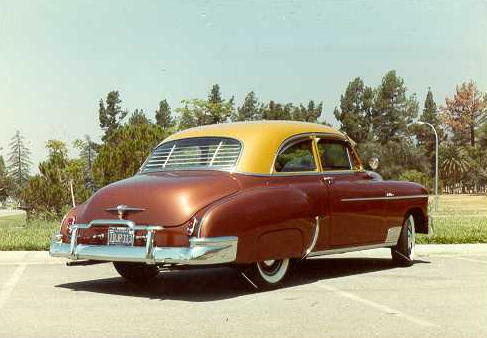 In 1989 I was contemplating redoing my 1950 but decided to do another car and of course it had to be a 1947 or 1948 Chevrolet Aerosedan (Fleetline). I came across a 1947 Fleetline that was in excellent restorable shape. It needed total restoration and that was what I wanted, something I could totally restore. I started to buy parts and accessories and tried to get as much information as possible about the car. 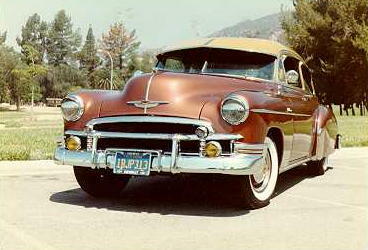 I discovered that 1947 and 1948 had the most accessories Chevrolet had to offer for any particular year(s). While I was gearing up to restore my 1947 Fleetline I came across a 1948 Chevrolet Cabriolet (Convertible) that I could not pass up. Well now I had three cars and had to decide which two to keep since I only have a two car garage. I wasn't about to get rid of either 47 or 48 so the 50 had to go, so in May of 2000 I sold my 1950. 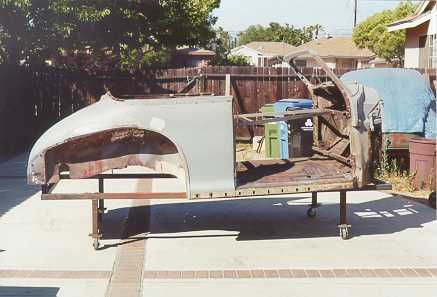 This year in 2001 I started to restore the convertible, the Fleetline will have to wait. I had minor metal work done, replacing cancerous metal. Just recently I had the car acid dip to rid the car of rust. The photo's above from left to right show before dipping, after dipping and then primered. 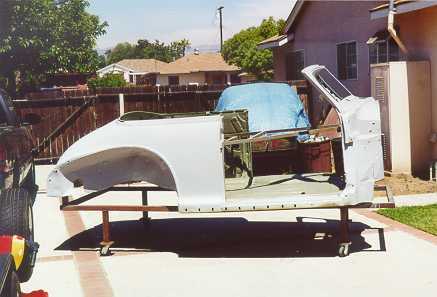 As I make progress on my convertible I will update this page to keep all who are interested updated.